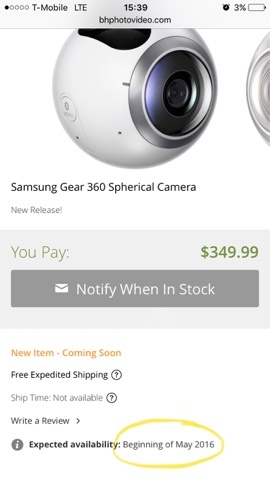 We finally have an estimated availability for the Samsung Gear 360 camera. It’s coming early May, according to B&H. Still no preorders. Ricoh Theta S back in stock at Amazon!